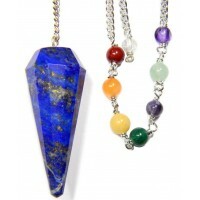 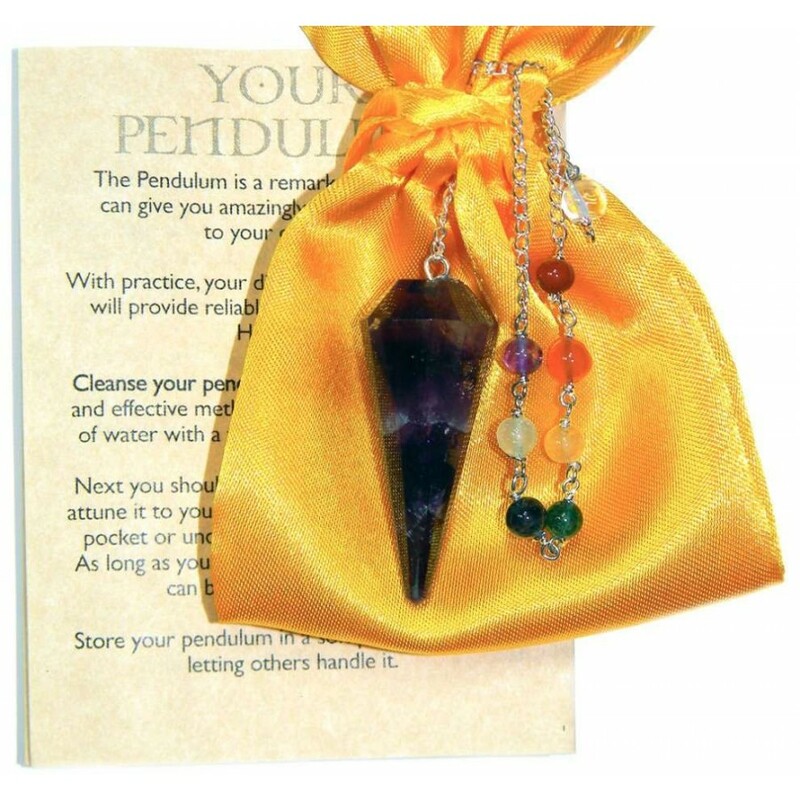 Beautifully crafted amethyst chakra pendulum with chakra beads comes with storage pouch and instructions. 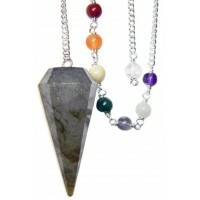 Beautifully crafted Amethyst Chakra Pendulum with chakra beads on a 6” silver chain ( total length 8”). 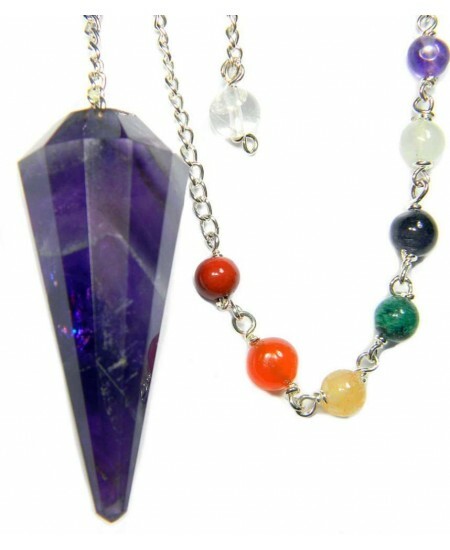 Amethyst is the gemstone for Channeling and Intuition. 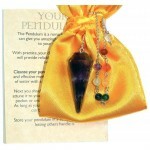 Comes with satin carry pouch and instruction leaflet with oracle chart. Pouch color may vary. 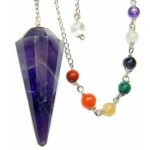 Please note that natural stone items will vary slightly from the photographed example as each is unique. 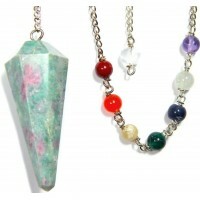 Item Number: SK-DPCA | Approximate Size (Inches): 0.65 wide x 0.65 deep x 8.00 high | Approximate Shipping Weight: 0.50 lbs.